Honolulu, Hawaii, is one of the most beautiful and inspiring places that I have ever had the opportunity of visiting; so when it came to us booking our family holiday for this Summer, it was an easy decision to make and we knew that Honolulu, Hawaii was the destination for this years Summer holiday. I last went to Hawaii in 2009 and I remember every single incredible memory that we created when we were there before. There was really no doubt that we had always wanted to return to Hawaii, but make the vacation more of a relaxing trip rather than focusing on sightseeing. 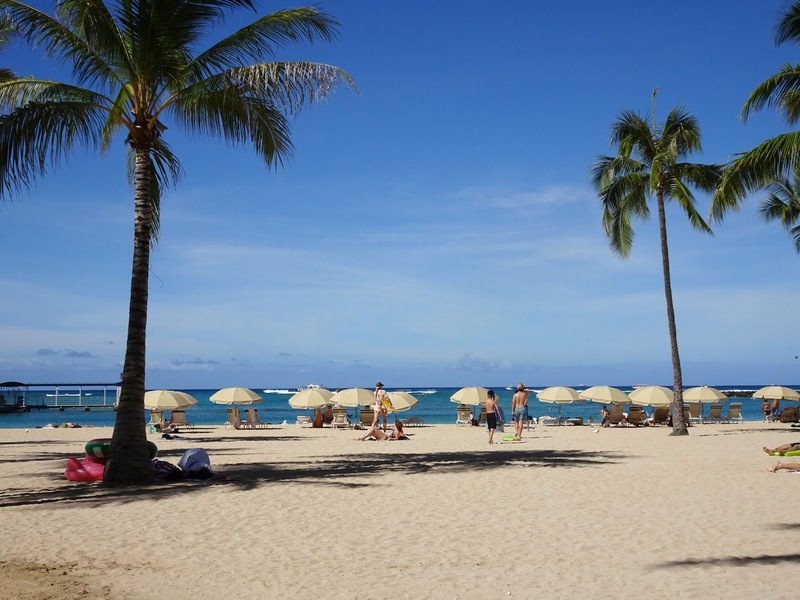 We had already experienced the tours and excursions around the island of Oahu in 2009 (including visiting Pearl Harbour, the Dole Plantation, the North Shore and the Polynesian Cultural Center), so this time round we wanted to relax and enjoy the beautiful Waikiki Beach. As Hawaii is a part of Polynesia as well as being a state in the United States of America, you really experience the best of both worlds - there is the tropical paradise, where you can sip cocktails out of pineapples and coconuts on a beach and then you have the traditional America with the food and shops. As we had already experienced the cultural and historical side of Hawaii last time, we decided to make this vacation more of a relaxation trip, which mainly involved sunbathing and shopping. If you follow me on Instagram then you will have already seen some of the photos (if you don't follow me, then make sure to @vickilouisecaldwell), but I also wanted to show you the beauty of Hawaii on my blog, and especially show you how great Oahu is and tell you my reasons as to why you should consider Hawaii for your next vacation. There are four main islands that you can travel to; Oahu, Big Island, Maui and Kauai. We decided to stay on Waikiki beach, which is on probably the most popular island for tourists to visit; Oahu. 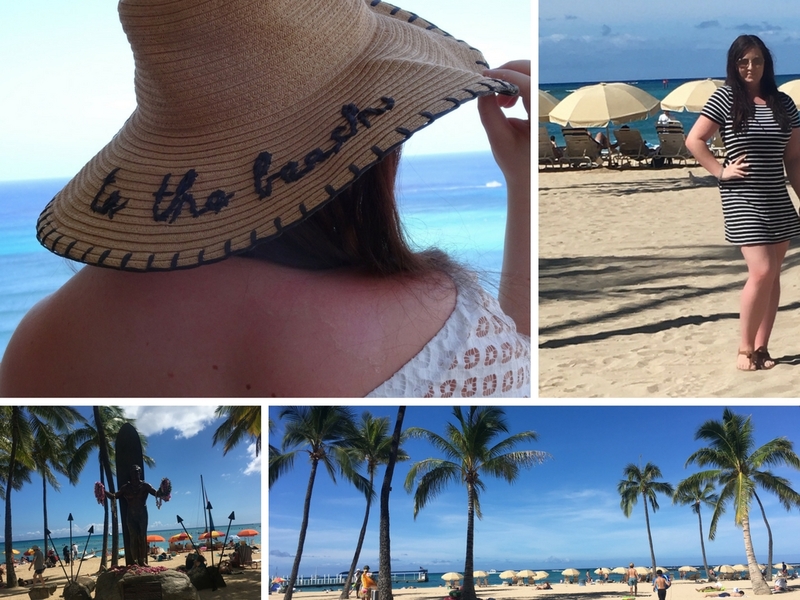 There is seriously so much to experience in Oahu, from hiking up volcanoes, visiting Pearl Harbour and watching a Luau - there is just so much that can be experienced on this beautiful island. Unfortunately, there is no direct flight from London to Hawaii, and therefore you will have to change planes (usually at LAX), resulting in you being in the air for almost 16 hours. But experiencing Hawaii is definitely worth the long flight. Every day in Hawaii, was like looking at a post card, as everything is just so stunning; the views are breathtaking, the people are so friendly and the experience is something you will never forget. 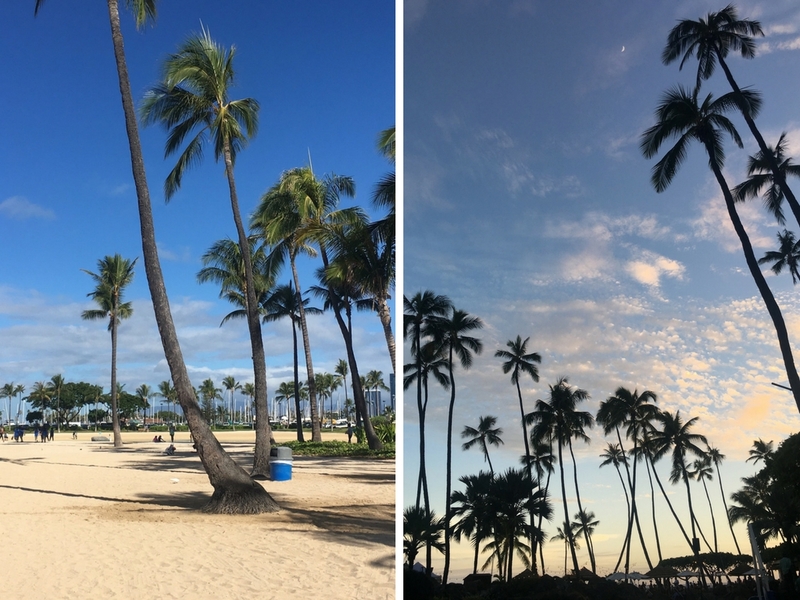 I am going to share with you my experience of Oahu, including some travel tips to consider before purchasing those flights. Hawaii is essentially on the other side of the world, in comparison to England, therefore travelling there is a long process. I have already mentioned that there is no direct flight from the UK to Hawaii, therefore you will have to change flights (usually at LAX), meaning in total you will be travelling for around 22 hours and spending around 16 hours in the air. Because of this factor, we decided that we wanted to travel a bit more comfortably and chose to travel first class with Virgin Atlantic - not only is the process of checking in luggage a lot easier but you have a lot more room to move around. I would definitely recommend flying with Virgin, as they take such great care of their passengers, no matter whether you are flying in economy, business class or first class. One thing to note, is that because you have to change flights in America, you will have to pick up your luggage and re-check it in for your connecting flight. Therefore, when you are thinking of travelling to Hawaii, leave plenty of time between your connecting flights or I would even suggest spending a night at the airport so you don't have to rush and risk missing your flight. Luckily on the way back from Honolulu, we were flying with Delta (who is a partner of Virgin) to LAX, which meant that our luggage was checked in for the whole flight, so we didn't have to worry about picking up our bags at LAX. If you can handle travelling for almost a whole day, then Hawaii is one of the most beautiful destinations to vacation in, and will definitely not disappoint. Waikiki Beach offers an array of hotels that span across the whole of the beach; meaning the beach is literally a few steps from the hotels. 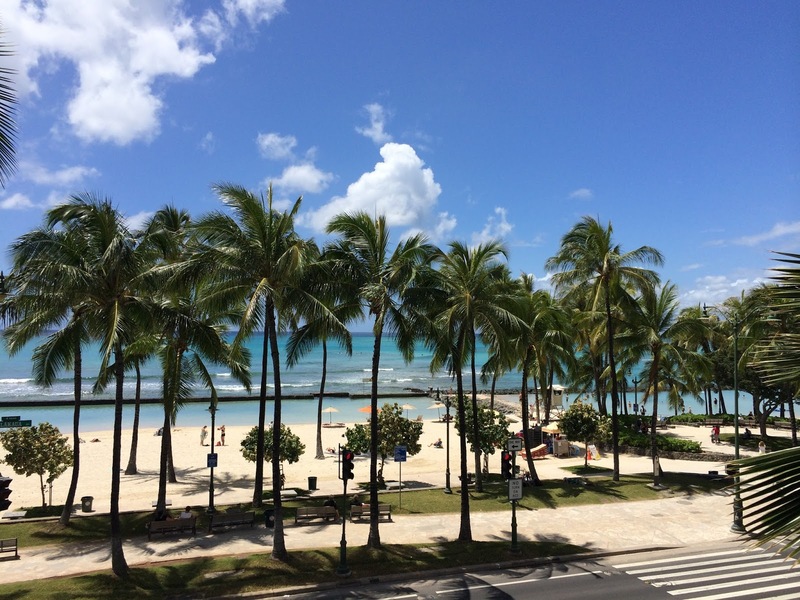 Of course, there are other hotels dotted around the island, but Waikiki Beach offers the most. Last time we came to Hawaii, we spent a week in Waikiki and then travelled to a place called Makaha (which is more quiet and is more up in the mountain ranges). However, this time we decided we did not want to have to hire a car and therefore we stayed on Waikiki Beach for the whole two weeks. 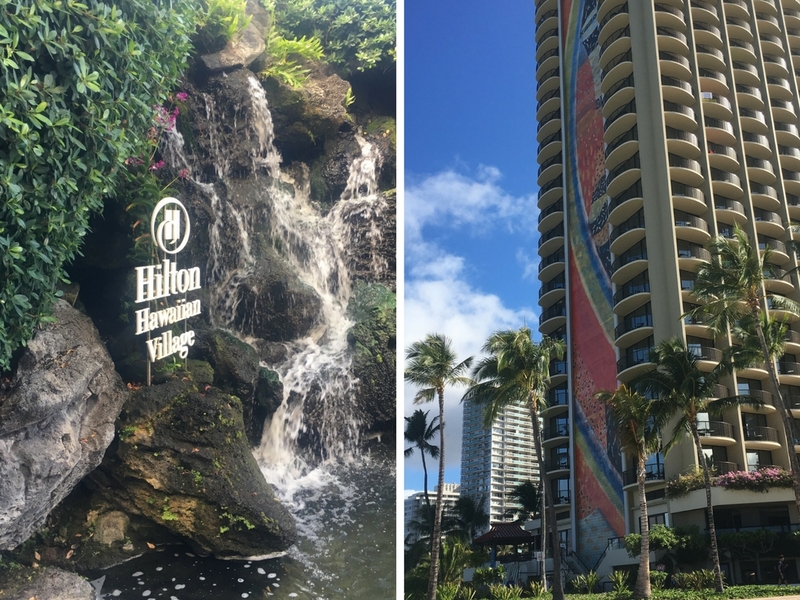 We stayed in two hotels this time; the Hilton Hawaiian Village Waikiki Beach Resort and the Waikiki Beach Marriott Resort & Spa. I would recommend staying at both of these hotels as they are on either end of Waikiki Beach and they are both completely different to each other, depending on what your preferences are. The Hilton Hawaiian Village Waikiki Beach Resort is completely out of this world. Situated on 22 acres of land, with over 3,000 rooms in five main towers, five pools, over 20 restaurants, over 90 shops and boasting their own private beach, this is one of Waikiki's biggest resorts. This really is the hotel for you if you want to stay in a little bubble style village - this is a beautiful resort that offers stunning scenery and wildlife. You really never have to leave this resort apart from going on tours and excursions. We were very lucky in that when we checked in we were upgraded to their signature tower, The Ali'i, but every tower has stunning rooms and views in them. There are also so many activities to take part in here, from lei making, to morning yoga, surf lessons and even luaus. We did attend a luau event on the first Friday we were there which showed us tradition hula dancing and ended in an amazing fireworks display. 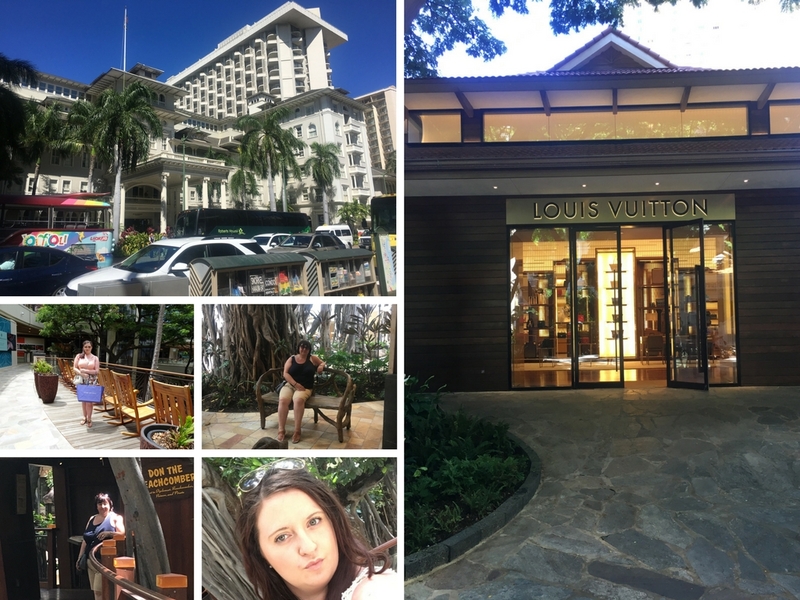 There are so many shops (they even have a Louis Vuitton store on the complex) and the hotel is only a 15 minute walk from the Ala Moana shopping centre, which must be visited by anyone who loves shopping. I would definitely say this is the best place to bring young children - as it is very secure, only hotel residents are allowed on the beach and there is so much for them to do - including joining Camp Penguin (which is a kid's holiday camp where they do exciting activities during their stay). They do also offer tours and excursions to Pearl Harbour and other places, plus you can easily explore by grabbing a cab and travelling up to the other end of Waikiki Beach. I loved staying at this hotel, from the beach to the beautiful scenery, this is a stunning place to stay at and would make a great hotel to come to if you are on your honeymoon or wanting somewhere secluded to take the children. 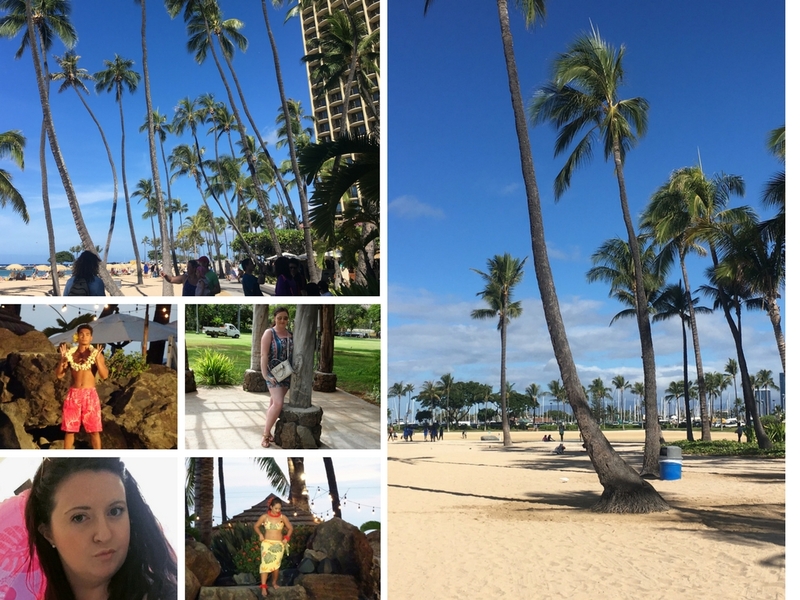 For the second week of our vacation, we stayed at the Waikiki Beach Marriott Resort & Spa (which is a hotel we stayed in, the last time we came to Hawaii). This hotel is a lot more peaceful and quiet, in comparison to the Hilton (which is usually noisy because of children). The Marriott in Waikiki Beach is a lot smaller as well, although still boasts over 1,300 rooms in two beautiful towers. The Marriott is on the opposite end of Waikiki Beach to the Hilton, and a is a few feet from the public beach. This hotel is perfect if you plan to do more exploring around the island or have older children who are not too worried about spending all day in the pool. The pool is not massive, but it is usually quiet which is something that you don't really get to experience at the Hilton as every pool is usually full of children. The Marriott is situated a short distance from Diamond Head (Honolulu's volcano), plus you can easily walk to the Honolulu Zoo and is on Kalakaua Avenue (which is one of the best shopping streets I have ever seen). This hotel is a lot more quiet and did not feel as crowded as the Hilton. If you are thinking of coming to Hawaii, I would definitely recommend either of these hotels to stay in. However, I would say that upgrading to an ocean view is definitely something to consider as there is nothing better than waking up to a beautiful view of the Pacific and then watching the sun set at night over the ocean and beach. What has always drawn me to Hawaii is the beaches, especially Waikiki Beach, with over 750 miles of shoreline there is a beach that will suit everyone. Oahu has more than 125 beaches to choose from, from the powerful waves of North Shore (perfect for surfing and seeing turtles and sharks) to the gentle shore line of Waikiki Beach. One of the most famous beaches in Oahu is Waikiki Beach, where most tourists will stay when visiting Hawaii. Set over 2 miles of beach, there are so many shops, restaurants and hotels to choose from. I love Waikiki Beach as it is so beautiful and the views are stunning. You're hotel is usually only a couple of steps from the beach, which is perfect if you want to spend the whole day at the beach, but don't want to take everything with you or if you want to go out for a quick evening stroll to watch the sunset. Hawaii, in my opinion has the best beaches ever, as it has the tropical paradise (where you can sip a pineapple cocktail) mixed with American influences (where you can eat a hot dog with your cocktail). The sun was shining every single day and there is nothing better than waking up looking at the beautiful turquoise ocean of the Pacific. if you want to relax, you can easily hire sun beds and sunbathe or if you are more sporty and adventurous, you can go paddle boarding, take surf lessons, snorkel or even do paddle board yoga. There is just no words to describe the beauty of Waikiki Beach, so I will let the photos do all of the talking. You can also experience whale watching (at certain times of the year), take a shark cage trip off Oahu's North Shore, go snorkelling in the stunning Ko O'line Lagoons or take a submarine excursion off Waikiki Beach. If you are thinking about going to Hawaii, then I would definitely recommend checking out the website called AllTheRooms.com, especially their blog. You can find available rooms all around the world and one of the best things is their blog where they will give more detailed information about different places all around the world - including whether places are safe, finding the best places to visit and what are the best beaches and so much more. Two of the blog posts that I keep reading is the Best Beaches in Hawaii and the Best Beaches Around The World. Both of these posts just make me want to book another beach holiday this Summer and they include beaches that I have never heard of and would not have even know had existed if it wasn't for them writing about them. From now on, every time I am thinking about booking a holiday I am going to be checking out their blog to see what I can do in that destination. What is perfect about the food in Hawaii, is that you have a mix of traditional Hawaiian and American cuisine. We tried to go to a variety of different restaurants each night, but there were three standout restaurants that I would recommend to anyone who wants a great meal (and a couple of these were so good that we went back multiple times because the food and setting was amazing). The Bali Steak & Seafood Restaurant is in the Hilton complex and was one of my favourite restaurants that we went to on the entire trip. If you are looking for a restaurant to celebrate a special occasion or just to treat your family to a stunning meal, then this is the place to go to. Offering a spectacular oceanfront view of Waikiki Beach - this is the perfect setting for any special occasion. We went there to celebrate my birthday (which was a few weeks before we went to Hawaii) and it was a great birthday meal. The food is quite expensive here, but is definitely worth it - it is also one of the restaurants that has a dress code and you usually have to book, but if you are staying at the Hilton I would recommend giving this restaurant a try. Even if you are not staying at the Hilton, you can still eat at any of the restaurants on the complex. This really encompasses the traditional island flavours of Hawaii, Bali and the Philippines. The setting is just stunning and the food is to die for. 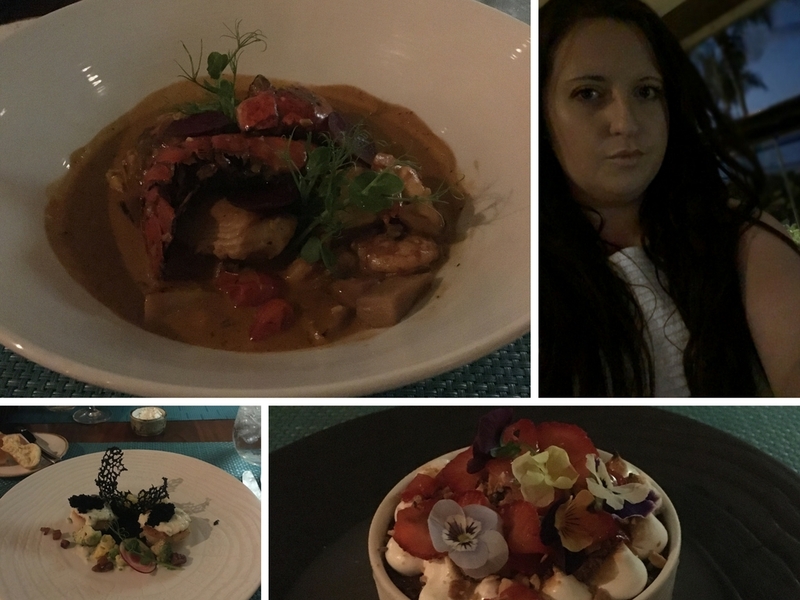 I had the most amazing seafood curry and I have never tasted such amazing flavours in all my life. The simplicity of the dishes mixed with the exotic island spices and flavours is just out of this world. Definitely a restaurant I will go back to when I next go back to Hawaii. I would recommend that you ask for a table with an ocean view, as it is just spectacular at night, especially when the sun is setting. I first went to the Cheesecake Factory when I was last on vacation in Hawaii, and the food here is definitely more American influenced (as you can get the Cheesecake Factory in almost every state and city in the United States). The food here is amazing and there is so much choice, from burgers, to pizza, to fish dishes, there really is something for everyone and is a favourite with children. The prices are really reasonable as well. Plus you cannot go to the Cheesecake Factory without having a piece of cheesecake. There are more than 30 cheesecakes on the menu, ranging from fruity, to chocolate to classic flavours. I am not usually a massive fan of cheesecake but we did take a couple of slices back to the hotel and they were the best cheesecakes I had ever tasted. There really is a flavour for everyone. 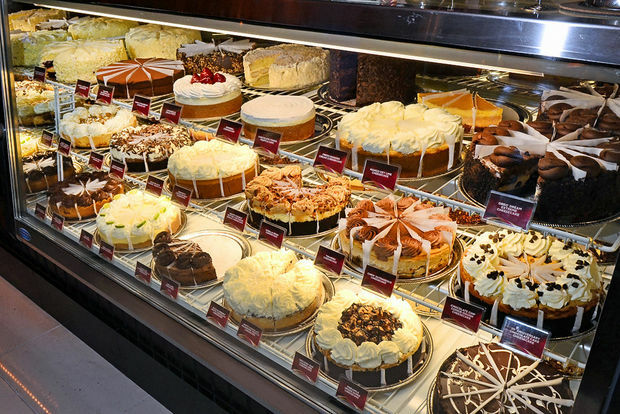 If you are looking for just some good food then definitely check out the Cheesecake Factory. The third and final restaurant that I wanted to give a special mention to is the D.K. Steakhouse, which is situated in the Marriott complex. 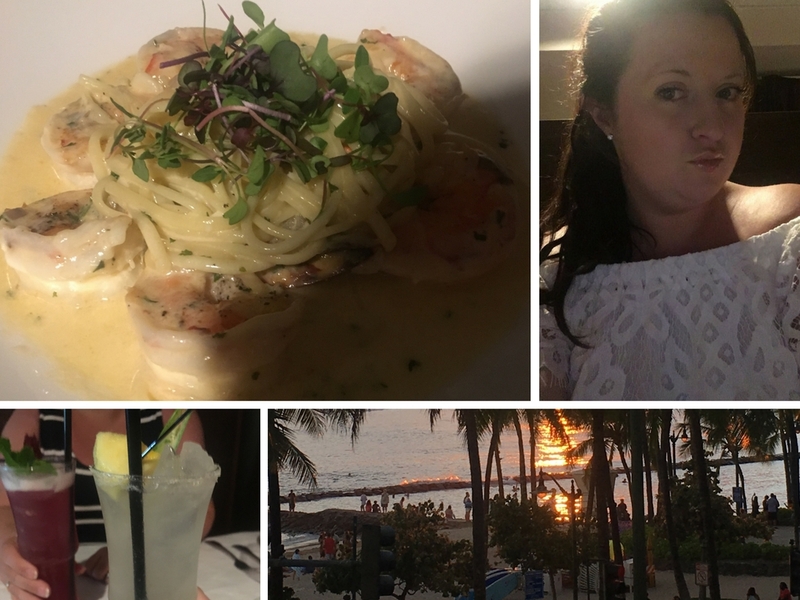 Like with the Hilton, you do not have to a be a hotel resident to eat at any of the hotel restaurants, and if you are in Waikiki beach I would suggest eating here. This is kind of the best of both the Bali Steak & Seafood and the Cheesecake Factory, as there are fish dishes as well as steak dishes (both of which are amazing). The price of the meals is in the middle of both restaurants - it is not as expensive as Bali Steak & Seafood but is not as affordable as the Cheesecake Factory. The steak here is amazing, and you choose different sides to go with the steak - there is definitely enough for each side to feed 2-3 people. Definitely worth the money and is one of the best steakhouses that I have ever been too. I would definitely try to book and asked to be seated near the window so you can see the sunset over the Pacific Ocean. On the island of Oahu, there are so many different activities, tours and excursions that you can experience. I had already experienced most of these attractions when I last went to Hawaii, so I didn't feel the need to visit the same places again, but they are definitely worth visiting at least once. Whether you decide to visit these places on your own with family or with a organised tour group, here are the top attractions that everyone should visit when they go to Hawaii. One of the most historical places to visit in Hawaii has to be Pearl Harbour, and it is somewhere that everyone should visit at least once. Even if you are not into history, Pearl Harbour is such a fascinating and interesting place to look round. You can tour the Battleship Missouri, as well as taking a boat to view the USS Arizona Memorial to remember those who died aboard the USS Arizona. The Memorial is actually built over the remains of the sunken battleship USS Arizona. 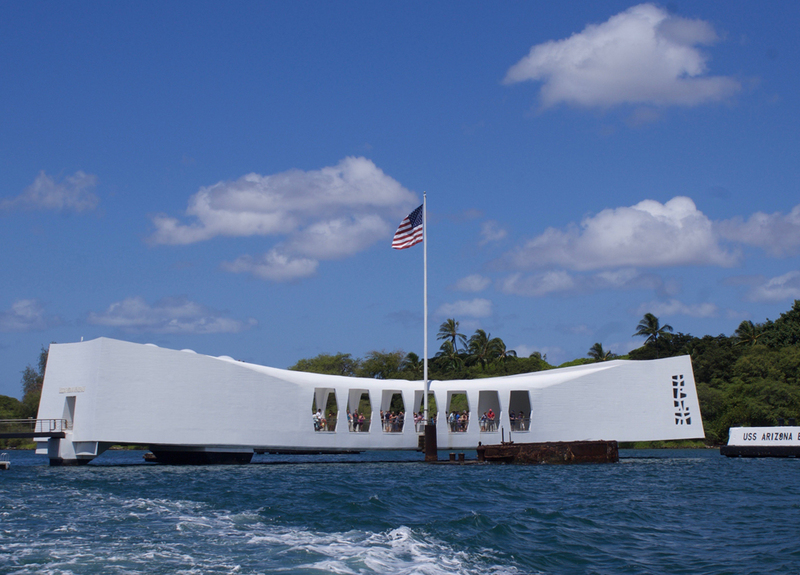 There are so many tours from the hotels in Waikiki Beach to Pearl Harbour and once there you can take part in guided tours of the battleships as well as going round by yourselves. The Polynesian Cultural Center is a place to experience the cultures of not just Hawaii but the other islands in Polynesia; including Fiji, Tonga, Samoa, Tahiti and many more. This is almost a museum of cultures, where every hour, demonstrations take place in each island's section highlighting a different part of their culture. You get to taste new foods, watch traditional dancing, as well as experiencing a canoe ride and watching the Rainbows of Paradise parade, where people one canoes showcase dances from each Polynesian island. As well as daily demonstrations and exhibits throughout the day, there is the evening show of Ha - Breath of life, which showcases songs and dances throughout Polynesia. This is a really interesting place to visit as you not only learn about the cultures of Hawaii but other Polynesian islands that you may not have ever visited before. The dancing is incredible and is definitely not to be missed. Situated in Oahu, is Diamond Head State Monument (a volcanic tuff cone) which offers some of the best views of Honolulu and Waikiki Beach. The Diamond Head (Le'Ahi) Summit Trail is a 1.6 mile hike that offers hikers (whether professionals or amateurs) the chance to walk to the volcano crater and view the amazing scenery that Honolulu has to offer. If you are into hiking or just want to take some beautiful photos then this is definitely something to take part in. Plus you will have some great photos to show off to friends and family. If you are planning on just staying in Honolulu, then a trip to the North Shore is a perfect day out for the whole family. There are tours provided to the North Shore or if you have hired a car then it is very easy to travel there by yourself. The Polynesian Cultural Center is near the North Shore, but this is also the best place to so some water activities including shark cage trips and snorkelling. Also make sure to stop at Turtle Bay to see the turtles in the water and on the shore. There are also some really nice little local shops that sell handmade items that you will not be able to buy anywhere else. If you do hire a car then just explore around the island as you will see so many beautiful parts that you wouldn't even know existed. If you love pineapple, then the Dole Plantation is the place to visit in Oahu. I went in 2009 and I have never tasted such amazing pineapple in all of my life. This is the perfect excursion for the entire family as there are activities that everyone can enjoy from the Pineapple Express Train Tour, the Plantation Garden Tour and the Pineapple Garden Maze. If you do end up visiting the Dole Plantation, then make sure to try their world-famous DoleWhip, which is a pineapple ice cream, that is amazing. You would not believe how much you will learn about pineapples when you visit here. 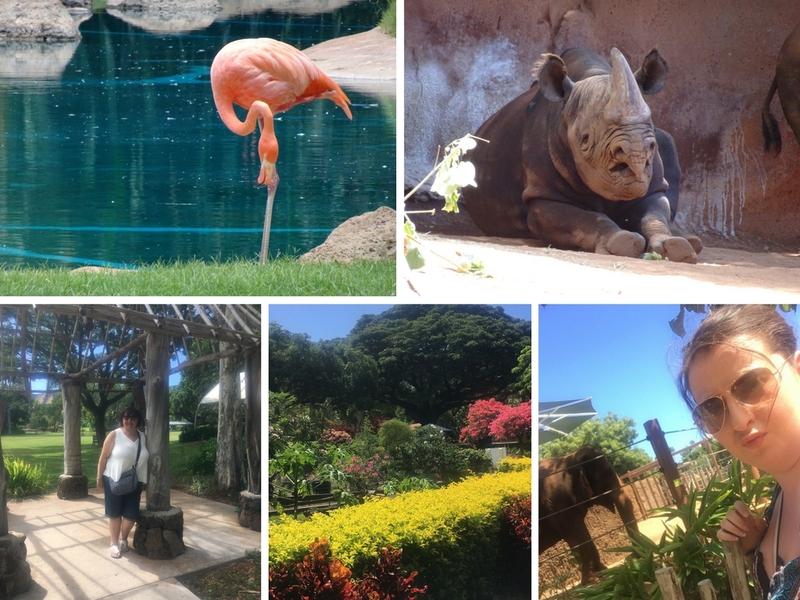 This is a trip that we decided to do this time in Hawaii, as the zoo was only a 10 minute walk from the Marriott hotel. This is such a great attraction for children, but also for adults as well. We did go to the Aquarium as well, but that was definitely not worth the money as there were hardly any animals there. Therefore, I did not have great expectations of the zoo, but it turned out to be a really good day out. It is only $14 for adults to get in and it was definitely worth the money. The parks and wildlife, within the zoo, were just beautiful, with the whole zoo full of gorgeous flowers. Plus there are a whole range of animals, from lions, giraffes, elephants, tigers and many more. This is one of the more affordable attractions to visit with the family and it is a great way to spend a morning or afternoon. If you really want to see Hawaii from a different angle, then there are plenty of helicopter tours that offer you the opportunity to view Oahu from the sky. This is something that I have never done but is something that I would love to do in the future. The views look amazing from photos I have seen online and there are so many tours that take you to view different parts of Oahu. This is one of the most expensive tours to take part in, costing usually over $200 per person but if you want to see Oahu from the sky, then I can imagine it is definitely worth the price tag. If you want to experience as much of Hawaii as possible then you can hop between the different islands. This obviously has to be planned a bit in advance, although I do believe you can book flights to the other islands of Hawaii at some hotels while you are on vacation. Hopping between the islands is a great way to view all of Hawaii and you can purchase flights from as little as $69. You can visit Big Island, Maui or Kauai for just a day and then be back in Honolulu in the evening. Shopping should never be the reason to visit somewhere, but if you find yourself having a free afternoon and you don't want to be on the beach or doing an excursion/tour, then shopping is a great way to spend an afternoon. I love shopping and I can honestly say that I have never seen such amazing stores that in Hawaii - there is something for everyone, whether you love your luxury purchases or you are more a Forever 21 person. All I can say is be sure to leave a lot of room in your suitcase. The Ala Moana Shopping Center is a large outdoor shopping center full of luxury and affordable stores. Plus they have four of the largest American department stores in the center, including Macy's, Bloomingdales, Nordstrom and Neiman Marcus. This is only a 5 minute drive from the Hilton hotel or a 15-20 minute walk and is definitely worth a visit. There are so many shops to look at and if a great place to go if it is raining or you don't want to be out in the sun too much. There are so many stores, but they have Louis Vuitton, Chanel, Anthropologie, Sephora, Abercrombie & Fitch and Victoria Secrets to name just a few. There is a food court with different restaurants, ranging from Japanese to American restaurants like Bubba Gump. Kalakaua Avenue is probably the best street to go shopping in - they really have both ends of the spectrum when it comes to shopping, from little boutiques selling Hawaiian souvenirs to Louis Vuitton. This is a huge street that spans a majority of Waikiki Beach, and not only are there shops but there are also a lot of hotels situated on this street, which have shops in their lobbies as well (so definitely check them out, especially for souvenirs). If you love your luxury shops then this is the place to go as they have their own 'Luxury Row' which includes Bottega Veneta, Chanel, Coach, Gucci, Tiffany & Co and Dior, to name just a few. But you also have more affordable stores on this street including Forever 21, Free People, Hollister and independent boutiques that sell items you cannot buy anywhere else. Waikele Premium Outlet is located 30 minutes from Honolulu, so you will need a car to get there, and is the only outlet center on the Island of Oahu. This is truly a shopper's paradise where you can shop from more than 50 designer and brand name outlet stores, including Calvin Klein, Coach, Kate Spade, Michael Kors, Polo Ralph Lauren and many more. This is a great place to go if you are looking for a bargain. There are so many little independent boutiques and markets, not only on Kalakaua Avenue but all over the island of Oahu. I remember when we went to Hawaii in 2009, driving to the North Shore and stopping in a small town where there was some beautiful shops selling exquisite handmade items that are perfect souvenirs for family and friends. I love buying intricate items and I even went into a Christmas shop (even though it was the beginning of August) and managed to find a pretty string of shells with a wooden Aloha sign, that I thought would be perfect to go in the bathroom, all year round (even though it was from a Christmas store). I managed to find some beautiful pieces in these smaller boutiques from leis, to handmade wooden animals and keyrings. So definitely check out the smaller boutiques whilst there. There are also some markets all over the island and I even saw one near a hotel on Kalakaua Avenue. Here there was loads of different pieces that I had not seen in stores and they were pretty reasonable prices as well. There is no need to overpack and bring loads of clothes. I, like always, brought with me way too many clothes that I ended up not wearing. You will find that you will wear the same thing a couple of times, especially kaftans and coverups, so there is no need to bring loads of clothes with you. Plus if you forget something, you can easily buy it in a store over there. Remember, that Hawaii is in the United States, and therefore you will have to apply for an ESTA Visa. This can be done up to 72 hours before you fly, but I would recommend completing this a month before your flight, just in case there are any problems. One of the best things to do before travelling to Hawaii is research trips and excursions so you know how much they will cost when you are out there, that way you can plan what days you want to go on the trips and you can put money aside for those trips. When you get to the hotel put the tour money into the safe so you are not tempted to spend it on other things. Some hotels will reduce the price of some trips if you are willing to attend a 90 minute meeting discussing their vacation club scheme. This is about timeshare and there is no obligation to join this at the end of the meeting but if you attend they will offer a discount on trips. I know at the Hilton, they were offering $100 off any excursion, which is something to consider if there are lots of you in a party. The sun is a lot stronger in Hawaii, as it is so close to the equator, and it will be 79 degrees Fahrenheit first thing in the morning and would then go up to 87-89 degrees Fahrenheit during the day. Therefore, make sure to reapply suncream throughout the day and only stay in the sun for a couple of hours at a time. It is a good idea to buy Factor 50 suncream for Hawaii, as I still got burnt even though I was applying suncream. I would definitely recommend buying aftersun as soon as you arrive as it is likely that you will be needing it at some point. You can buy this in ABC stores so you don't need to weigh your luggage with heavy bottles of sun protectant. Remember that when shopping in America, there is a 5% tax added to any item you purchase. This tax is added at the checkout and is not included in the price on the tag of the item. So if a top was $10, you would need to add 50 cents to the total. If you are thinking of buying luxury items, then make sure to research the price of the item back home. I found that when buying American designer items, they were a lot cheaper than back in the UK. However, when it came to European designer brands, I found that it was more expensive in the US than back home. I noticed one store was selling a pair of shoes for $800 (without tax added) but I could get them back in the UK for around £450, meaning they were a lot more expensive in the US. Drinks can be pretty expensive, especially small bottles of water from vending machines. Therefore, go into a local ABC store (which is Hawaii's version of a convenience store) and buy big bottles of water and soft drinks to keep in the hotel room fridge. If you don't want to hire a car to explore the island, then you can easily take a trolley. The trolley will travel all over Oahu, and is the best way to explore the island. The best thing is you pay a set price and you can get on and off whenever you want. If you are someone who does not want to be travelling around the island in the dark or even walking around Waikiki Beach at night, then it is best to plan your trips early and come back to the hotel in the mid afternoon, as the sun does set very early in Hawaii. Most nights the sun would set at 7pm and would be completely dark by 8pm. There are so many shops in Hawaii, so remember to leave some room in your suitcase. Don't worry about bringing loads of clothes are there are so many different stores in Hawaii that you can easily buy clothes from when you are out there. For a lot of people, this will be a once in a lifetime vacation, so remember to take lots of videos and photos to capture your vacation. Plus you can show off to family and friends when you return home and look back at your photos when you are older. I honestly couldn't recommend Hawaii more. It is absolutely stunning, plus you have the tropical paradise mixed with American influences. The culture, history and the island, in general, is reason enough to go and is stunning. It was truly an amazing trip, with wonderful people, amazing locations and so much to see. I cannot wait to go back in the future. Is Hawaii on your travel list? What placed should I visit next? Where are you going on vacation this year?